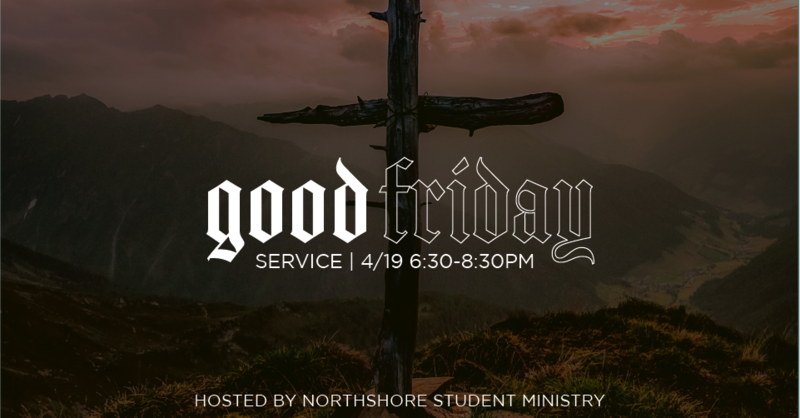 Good Friday Service, April 19, 6:30-8:30 PM, Worship Center. The Student Ministry will be leading students and adults in a time of prayer, reflection and worship. All students and adults are welcome, but please be aware that some graphic scenes may be shown from The Passion of the Christ. Register for Childcare, age 12 and under.